“Work flex,” “remote work,” and “job sharing” are all phrases that get plenty of buzz in today’s business world. The more they pop up in conversations, whether around the water cooler or in the C-suite, the more tempting it is to believe that every halfway reasonable corporation is offering meaningful flexibility. While it’s great that this topic is part of the workplace conversation, not every CEO or manager who says he or she loves flex is offering such options for workers. Plenty of them may be riding the flexibility bandwagon without any intention of driving it forward. So how can you tell those truly passionate about work flexibility from the mere posers? Here are a few suggestions to help you make the distinction. How long has the company been touting its flexible work offerings? Sure, a recent convert to the wonders of flex may be completely serious about it, but long-term proponents are likely to have a firmer commitment to offering several established and meaningful options. Do your research and check the “about us” section of the corporate website to see whether flexibility is mentioned. Any information about employee numbers may be especially informative, as it could indicate where those workers reside or whether any of them are remote or have flexible hours. Read up on the CEO, other executives, and even managers. What other companies have they led? Have they promoted flexibility throughout their careers? Those who are truly passionate about flex have probably felt that way for a while and may even mention their commitment in their LinkedIn profiles or in media interviews. If a company’s leaders aren’t serious about flexibility, middle managers probably won’t be, either. So pay attention to what they do and say. Check for involvement in the movement. You don’t have to be a supporter of 1 Million for Work Flexibility or similar advocacy organizations to prove that you’re serious about flexibility. But if a company is willing to participate in such efforts, its leaders are probably making a good-faith effort to offer flex to their employees. That’s a sign of true commitment. If a company’s culture is defined by micromanaging, an emphasis on in-office face time, or a lack of trust between workers and managers, chances are flexibility will not be seriously offered there. Even if the business says it has flex options, those who try to take advantage of them may be passed over for promotions or seen as second-class workers. On the other hand, a culture that focuses on trust and communication and emphasizes results instead of hours spent in the office provides fertile ground for flexibility to grow and flourish. A company that is truly serious about flex will have policies and procedures in place to formalize it. While it’s great that some organizations allow their middle managers to offer flexibility on an ad hoc basis, such options can be easily withdrawn if they’re not part of company policy. 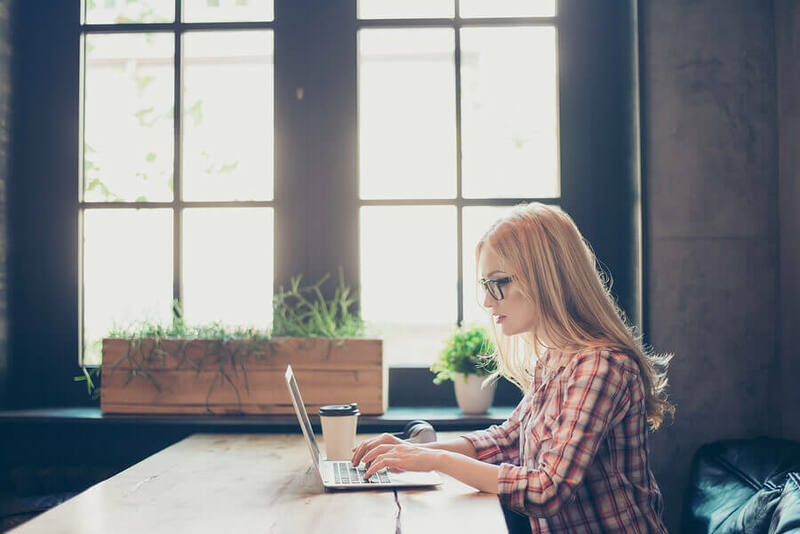 When flexible work offerings are included in the employee handbook, there’s a good chance the company has given them a lot of thought and is serious about flex. One of the best ways to determine the true flex commitment of a business is to talk to the people who work there every day. If you’re curious about a company, look for friends or acquaintances who are current or former employees. Ask them about their experiences with flexibility, as well as the corporate culture and policies. You’ll likely learn more through a brief discussion with them than you would through hours of other research. Of course, the only way to know for sure whether a business is committed to flex is to be the person who needs to shift her hours or work from home every other Friday and who has that request embraced and approved. But without that personal experience to guide you, these tips should at least help you figure out which companies are truly committed to flex, and which are all talk. And even for those businesses that fall in the latter category, all hope is not lost. As work flex offerings move from “trendy” to “standard,” more of the talkers will become true believers in, and supporters of, flexibility for employees. Greg Kratz is a contributing writer for 1 Million for Work Flexibility and a former reporter, editor, and work-life balance columnist for the Deseret News and deseretnews.com in Salt Lake City. A father of four active children, he appreciates the flexibility to leave his current work early and adjust his schedule so he can attend a seemingly never-ending string of softball games, Scout activities, piano recitals, and theater performances.